How do we get to know place unless we submerge ourselves in it? People's ecological concern is related to their affinity to both nature and places (Kals, Schumacher and Montada, 1999). They immerse themselves in special places, get to know particular beauty-spots in the outdoors environment, sink their hands into the soil while gardening, dive deep into the sea's blueness and find love. Affinity, atunement, allurement, love. Nature unearths these emotions. We are attracted and through this attraction comes attachment and care. In their discussion of the concept of place attachment, Kyle et al outline that an individual's response to natural settings is 'not determined by the attributes of the setting per se' (p.441), and they mention trees, rivers and mountains. They say that the places an individual prefers are those which they/we have experienced previously. For example, they cite a study by Bixler, Floyd and Hammett (2002) who found that children who had previously experience of wild places, were more competent in those places and preferred them. In contrast, in an earlier study quirkily titled ‘Nature is Scary, Disgusting and Uncomfortable’, Bixler and Floyd (1997) found that these days, urban children in America are more likely to fear wild nature. The researchers documented how children raised in urban areas are afraid of being in the woods; they are scared of wildlife, insects and spiders; they are disgusted by the dirtiness of the outdoors; and they don’t like experiencing extremes of weather. Instead they prefer their adventures in the tame and predictable city, in manicured parks and shopping malls. As children begin to lose contact with the natural world, they replace it with indoor experiences which are often linked to car travel, where adults use their cars to ferry children to and fro. This keeps children dependent on adults, not to mention the added environmental consequences that go with increased car use and the lack of physical exercise. 'While many children may visit zoos, watch nature films, or cuddle with pets and stuffed animals, their responses to other species have become more “politically correct” but less grounded in their own visceral experiences' (p.86). 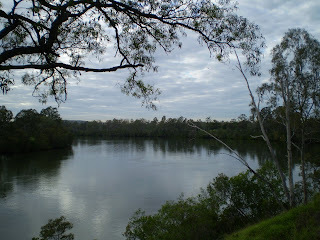 The river in Brisbane provides a haven, not only for birds and animals, but for children and adults to develop place attachment, curiosity about the natural world and ecological processes, and a desire to engage with and protect such places. Merging with the flow of the river can provide myriad experiences, touch the sensual affective side, evoke a sense of wellbeing as well as a sense of care - and spark our own visceral experiences. Bixler RD and MF Floyd, 1997, 'Nature is Scary, Disgusting and Uncomfortable,' Environment and Behavior, 29, 4, 443-467. Bixler RD, MF Floyd and WE Hammett, 2002, 'Environmental Socialization: Quantitative Tests of Childhood Play Hypothesis,' Environment and Behavior, 34, 795-818. Kals E, D Schumacher and L Montada, 1999, 'Emotional Affinity toward Nature as a Motivational Basis to Protect Nature,' Environment and Behavior, 31, 2, 178-202. Kyle GT, AJ Mowen, and M Tarrant, 2004, 'Linking Place Preference with Place Meaning: An Examination of the Relationship between Place Motivation and Place Attachment,' Journal of Environmental Psychology, 24, 439-454. Nabhan GP and S Trimble, 1994, The Geography of Childhood. Why Children Need Wild Places. Boston: Beacon Press. Pyle RM, 1992, 'Intimate Relations and the Extinction of Experience,' Left Bank, 2, 61-69.